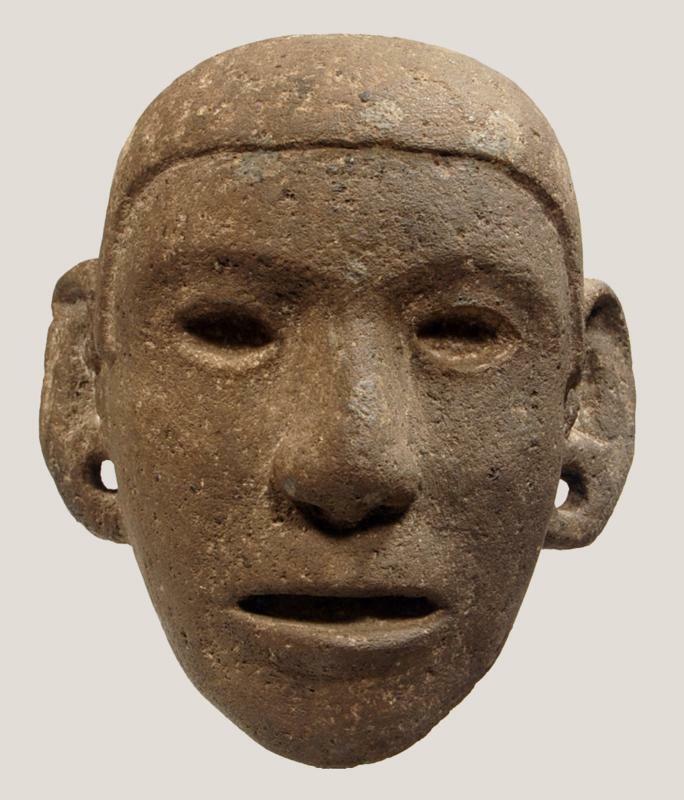 Expressively rendered basalt carved head with beautiful, sensitive naturalistic features, almond eyes once inlaid, the ears pierced, the mouth slightly open and with a low-cut coiffure. Ex Scott and Stuart Gentling Collection; Ex Edward D. Sternat, New York; Ex New England Private Collection Acquired Sotheby's, New York, November 15, 1994, Lot 172. Ex Sothebys Parke Bernet N.Y. May 12th 1979, lot 278. Size: 6 3/8 inches (16.2cm) height + custom mount. Similar piece can be found in Von Kuste Zu Kuste (From Coast to Coast: Pre-Columbian Sculptures from Mesoamerica) by authors Leyenaar, van Bussel, and Weber, 1992, p.380. Super rare and exquisite example.